The rediscovery of a protagonist of Italian art. 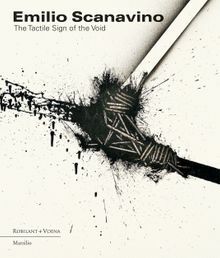 The first international monograph about Emilio Scanavino after his death, this book focuses on the wide breadth of his creative output, which began immediately after World War II and continued until the 1980s. He was one of the pioneers and protagonists of an innovative poetics of the "sign," situating his practice between the Informel and Spazialismo movements and a new concept of the void. Scanavino's art is characterized by a distinctive human quality: the gesture is the focus, and the intention is to penetrate the meaning of reality. He aimed to overcome the traditional notion of abstraction as lyrical, surreal, or constructive, whilst incorporating it into a new relationship of the image with reality. Hardcover, 11 x 9.4 in. / 208 pgs / 283 color.